We’re all stressed all the time, right? We’re constantly being asked to do more with less, and be ultra-efficient while wearing an absurd number of different hats. You probably feel like you could get a lot more done if it weren’t for those pesky email notifications that keep popping up. As much as we may claim to hate email and curse it for being the reason we’re always so far behind (or so we think), we secretly love feeling important. If an hour goes by and no one is trying to get ahold of us, we wonder what’s going on. My relationship with email changed when I started seeing it for what it really is: a task list dictated by others. You don’t control its content, so if you’re using it as a crutch or having trouble managing your time because of a constant email barrage, you’re letting others manage your tasks. And that’s a huge no-no. 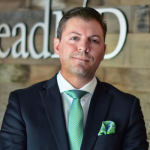 In addition to being the mouthpiece for LeadMD, I also run our sales department, marketing department and operations department, all while founding a new technology startup. I have to be in control of my own efficiency. Do you think you could efficiently manage your time with such a large volume of incoming mail as a result of managing so much? Probably not if you’re using your email client to also serve as your to-do list. Whenever someone comes to me saying they’re overwhelmed, I have them pull up their inbox. It’s always a mess, and yet it’s also the primary tool they use to manage their day. No wonder they’re stressed out! That’s not email’s function. Sure, tasks come to us in the form of an email, but you need a system to prioritize tasks and to make sure the important stuff doesn’t get lost in the sea of inbox muck. There’s no perfect system – some people prefer third party task management apps like Evernote, others use built-in features in their email clients that filter out the noise. My system treats my inbox as nothing more than a queue that allows me to prioritize and delegate like a champ. It’s based on the principles of Getting Things Done and requires very little setup on my part. Capture: I use my email inbox to capture all inputs, even manual ones. Defer it to myself for later if I don’t know what it means, and always set a reminder to check on it. Defer it to someone else if they’re better suited to handle it, and always set a reminder to check on it. Put it in my reference folder if it’s not actionable. Delete it if it’s crap (20% of all email is crap anyway). Organize: This is not the same as Clarify, though many people confuse the two. This just means that, at any given time, I have a list of to-do’s organized by importance. This list is obviously inspired by the emails I get, but I never have to dig through a backlog of read messages because I don’t treat by inbox like a giant sticky note. Reflect: I do this at the beginning and end of each day. Just taking a moment to check in and make sure I’m not missing anything. Engage: I’ve been in the business long enough to know my own personal “go times.” Those are 6-8am, 3-5pm and 7-10pm. That’s when I’m knocking off tasks. If I were always worshipping at the altar of email and allowing others to manage my system, I would be forcing myself to work during hours when I’m not at my best, or on Saturdays which I hold as sacred off days, or missing my engagement times because I’m too busy responding to message threads. I’ve found that people who try to plow through a wall each day without a system get burnt out in half a year. Anyone can stick to any system for a short time, even if it’s an inefficient one, but you need a method you can comfortably live in for at least a year. That’s when you know it’ll stick. Whenever I feel myself losing my grip, it’s because I’m slipping from my system. You’ll never have a perfect system; slip-ups happen. But let me tell you, when I get to inbox zero every week, it never gets old. I set myself up for success, and I celebrate when I achieve it. It’s all because I never let anyone else manage my system, and neither should you.